*The Mediterranean Diet Cookbook for Healthy Living: 115 Fresh and Easy Recipes with 28 Days of Meal Plans by Marilyn Haugen, Alexander Kim MS. Price: Free. Genre: Middle Eastern Cookbook of the Day, Sponsor, Mediterranean Recipes, Nonfiction. Rated: 5 stars on 4 Reviews. ASIN: B07MMHPBBG. Please note: The Author has made this book free in return for honest reviews. Please leave a review on this book’s page when done reading. Thank you! ***NORMAL: Part One (Something More Book 1) by Danielle Pearl. Price: Free. Genre: Adult Romance of the Day, Sponsor, A girl suffering from a debilitating anxiety disorder, A boy battling his own demons, Can they have a normal relationship. Rated: 4.5 stars on 339 Reviews. 390 pages. ASIN: B00MN075MG. **LASSITER (Jake Lassiter Legal Thrillers Book 8) by Paul Levine. Price: Free. Genre: Legal Thriller of the Day, Hard-Boiled Mystery. Rated: 4.3 stars on 383 Reviews. 305 pages. ASIN: B007PK92XE. Shamus Award Nominee Paul Levine. **Viral Intent: Terror in New Orleans (Alexandra Destephano Book 3) by Judith Lucci. Price: Free. Genre: Espionage Thriller of the Day, War Fiction. Rated: 4.6 stars on 82 Reviews. 307 pages. ASIN: B00J7PC69C. Wall Street Journal & USA Today Bestselling Author Judith Lucci. *Ctrl-Alt-Delete (Hagar Trilogy Book 1) (Deal, Not Free) by Dave Lewis. Price: $0.99. Genre: Adult Crime Thriller Deal of the Day, Sponsor. Rated: 5 stars on 2 Reviews. 306 pages. ASIN: B005Z284A6. **Flame Road (Scorch Series Romance Thriller Book 5) by Toby Neal, Emily Kimelman. Price: Free. Genre: Romantic Suspense of the Day, Post-Apocalyptic Science Fiction. Rated: 4.4 stars on 53 Reviews. 239 pages. ASIN: B06XQ268QR. USA Today Bestselling Author Toby Neal. *Today We Die (The Killing Sands Book 1) (Deal, Not Free) by Daniel P. Wilde. Price: $0.99. Genre: Apocalyptic Thriller Deal of the Day, Sponsor, 2093, Ancient Biological Weapon is Uncovered from Sahara Desert. Rated: 4.8 stars on 35 Reviews. 380 pages. ASIN: B075299RJ2. Get the paperback version here, please. *Gewglit: A.I. encounters the Great I Am by Tom Ingram. Price: Free. Genre: Technothriller of the Day, Sponsor, A Supercomputer that must Learn by Itself whether it’s Accountable to God. Rated: 4.6 stars on 11 Reviews. 274 pages. ASIN: B07D4QSFHN. **Illegally Wedded (Legally in Love Book 6) by Jennifer Griffith. Price: Free. Genre: Contemporary Romance of the Day, Pop Culture. Rated: 4.8 stars on 52 Reviews. 420 pages. ASIN: B078JWP5J8. *Restoration: Heal Your Soul, Heal Your Life (Deal, Not Free) by Beau Adams. Price: $0.99. Genre: Christian Book Deal of the Day, Sponsor, Nuggets of wisdom, We are fighting battles God never intended us to fight. Rated: 5 stars on 9 Reviews. 110 pages. ASIN: B07KYQW7RT. *(Box Set Deal, Not Free) Sweet and Sassy in the Snow: Find Your Winter Romance! (Deal, Not Free) by Mona Risk, Natalie Ann, Rachelle Ayala. Price: $0.99. Genre: Romance Box Set Deal of the Day, Sponsor, 8 Book Box Set, Star, Love and Pirouettes, Who can Jenna trust. Rated: 4.8 stars on 8 Reviews. 999 pages. ASIN: B07MQS5K5K. *Burden of Sisyphus (Brink of Distinction Book 1) (Repeat) by Jon Messenger. Price: Free. Genre: Adventure of the Day. Rated: 4.2 stars on 97 Reviews. 360 pages. ASIN: B00EZV85WK. *The Type 2 Diabetes Monster and How to Tame It: Face Your Type 2 Diagnosis with Courage and Hope (Deal, Not Free) by D.L. Hughes. Price: $0.99. Genre: Nonfiction Book Deal of the Day, Sponsor, Health, The good, the bad and embarrassing experiences of being diagnosed with Type 2 diabetes. Rated: 5 stars on 1 Reviews. 117 pages. ASIN: B07N993PY2. **The Gold Egg by Dan Wyson CFP, Ule B. Wise. Price: Free. Genre: Children’s Fiction of the Day, Sponsor, Wisdom and Lessons, A Difficult and Painful Climb, to reach the Gold Egg at the Top of a Tree. Rated: 5 stars on 34 Reviews. 64 pages. ASIN: B079QD5S4Q. *Small Talk by Robert Germaux. Price: Free. Genre: Mystery of the Day, Serial Killers. Rated: 5 stars on 8 Reviews. 266 pages. ASIN: B00UA1O9Q0. *Entry-Level Cancer: My First Six Months in the Club That No One Wants to Join by David Baskett. Price: Free. Genre: Biographies & Memoirs of the Day, Sponsor, Surviving Cancer for 10+ years, Humorous True Story, Entry Level to Cancer. Rated: 4.6 stars on 12 Reviews. 199 pages. ASIN: B00N2FRW7Y. *Domino by Chris Barnhart. Price: Free. Genre: Mystery of the Day, Sponsor, Everyone seems to want to kill her, to stop her from testifying at a High Profile Murder Case. Rated: 5 stars on 1 Reviews. 249 pages. ASIN: B00ONC6JVK. ISBN: 1520915667. *The World of Pangea: Path of the Warrior by Michael Davies. Price: Free. Genre: Fantasy of the Day, Epic, Military. Rated: 4.8 stars on 16 Reviews. 219 pages. ASIN: B00W2PBW0S. *Flying Fossils (Women of Fossil Ridge Book 1) by Lynne Gentry. Price: Free. Genre: Small Town Romance of the Day, Sponsor. Rated: 4.9 stars on 17 Reviews. 431 pages. ASIN: B07CGYBJYF. *The Elfkin Journals: Blending Of The Races by JDeVereS. Price: Free. Genre: Epic Fantasy of the Day, Sponsor, Can a Team of 7 Warders take on an entire Empire of Genetically Mutated Demi Gods. Rated: 5 stars on 1 Reviews. 392 pages. ASIN: B07HQZHJ2L. *Dragon Compass: Book One of Raizen by John Bueter. Price: Free. Genre: Epic Fantasy of the Day, Sponsor, If you like Martial Arts or Asian Fantasy. Rated: 5 stars on 5 Reviews. 230 pages. ASIN: B07JR7ZL9V. *Date in the Dark by Jami Wagner. Price: Free. Genre: Contemporary Romance of the Day, New Adult & College. Rated: 4.8 stars on 12 Reviews. 172 pages. ASIN: B00XAZMK3M. *(Box Set Deal, Not Free) Sweet and Sassy in the Snow: Find Your Winter Romance! (Deal, Not Free) by Mona Risk, Natalie Ann, Rachelle Ayala. Price: $0. Genre: Romance Box Set Deal of the Day, Sponsor, 8 Book Box Set, Star, Love and Pirouettes, Who can Jenna trust. Rated: 4.8 stars on 8 Reviews. 999 pages. ASIN: B07MQS5K5K. *Personal Demons (Jason Storm, Monster Hunter Book 1) by David Morrison. Price: Free. Genre: Fantasy of the Day, Sponsor, Monster Hunters and Shady Corporations. Rated: 5 stars on 1 Reviews. 290 pages. ASIN: B07M6G6DRY. *The Woods by Milo Abrams. Price: Free. Genre: Horror of the Day, Suspense. Rated: 4.5 stars on 12 Reviews. 244 pages. ASIN: B01G0JL32I. *Legitimate Work From Home Opportunities: A Phenomenal Collection of Verified Online Resources And Business Ideas To Boost Your Income For 2019 and Beyond! (Predicting Your Success Series Book 1) by Samir Jhaveri. Price: Free. Genre: Non Fiction Book of the Day, Sponsor, Online Jobs, Legitimate Resources for Performing Simple Tasks to Earn Money Online Depending on your Expertise and Skillset. Rated: 5 stars on 3 Reviews. 97 pages. ASIN: B07NCBY57M. *Falsified (The Swithen Book 3) by A. Akinosho. Price is: Free. Genre: Romantic Suspense of the Day, Sponsor, Multicultural Romance. Get the free eBook here, please. *Stiletto: Poppy’s revenge by Shay Bell. Price: Free. Genre: Contemporary Fiction of the Day, Psychological. Rated: 4.5 stars on 46 Reviews. 492 pages. ASIN: B01MPZIULX. ***(Free for Kindle Unlimited) His End Game (MMG Series Book 1) (Deal, Not Free) by RB Hilliard. Price: $2.99. Genre: Adult Second Chance Romance Deal of the Day, Sponsor, Ellie must choose between the man who broke her heart and the best friend who loves her. Rated: 4.5 stars on 155 Reviews. 404 pages. ASIN: B00IDAPVBW. Get the paperback version here, please. ***Blossom and the Beast (The Alder Tales Book 1) (Deal, Not Free) by RS McCoy. Price: $0.99. Genre: Romance Deal of the Day, Sponsor, USA Today Bestselling Author, A Splendid Retelling of a Classic FairyTtale, If you like Cinder, The Star-Touched Queen. Rated: 4.3 stars on 120 Reviews. 337 pages. ASIN: B01DC8Y20U. USA Today Bestselling Author RS. McCoy. *Maddie and Bean by Jean L. Kuhnke. Price: Free. Genre: Christian Romance of the Day, Western & Frontier, Inspirational. Rated: 5 stars on 5 Reviews. 134 pages. ASIN: B075J5S2PL. ***Utterly Forgettable (Deal, Not Free) by RB Hilliard. Price: $0.99. Genre: Bar Owner and Apartment Manager Romance Deal of the Day, Sponsor, Great Story Full of Emotions and Laughs and Steam. Rated: 4.5 stars on 105 Reviews. 167 pages. ASIN: B01DOR1EBO. Get the paperback version here, please. *Come October by Patricia Kay. Price: Free. Genre: Contemporary Romance of the Day, Women’s Fiction. Rated: 4.7 stars on 6 Reviews. 304 pages. ASIN: B076M7BMTQ. RITA Award Nominee Patricia Kay. **(Free for Kindle Unlimited) Fractured Beat (Meltdown Book 1) (Deal, Not Free) by RB Hilliard. Price: $2.99. Genre: Adult Rock Star Romance Deal of the Day, Sponsor, The Lead Rocker of Meltdown has a Melt Down, he also has a Sweet and Romantic Side. Rated: 4.7 stars on 281 Reviews. 341 pages. ASIN: B01LWX0RBT. Get the paperback version here, please. **Born to be My Baby (Canyon Creek, CO Book 1) (Deal, Not Free) by Lori Ryan, Kay Manis. Price: $0.99. Genre: Adult Romance Deal of the Day, Sponsor, NY Times Bestselling Author, Contemporary Romance. Rated: 4.5 stars on 58 Reviews. 364 pages. ASIN: B077XJY519. NY Times Bestselling Author Lori Ryan. *Trouble In Glamour Town by S. R. Mallery. Price: Free. Genre: 20th Century Historical Romance of the Day, Historical Mystery. Rated: 4.7 stars on 36 Reviews. 202 pages. ASIN: B077D7T2KC. USA Today Bestselling Author S. R. Mallery. **Interview Preparation and Success Tips: A Detailed Guide on How to Answer Interview Questions and Bag That Dream Job! (Deal, Not Free) by Ernest Enabulele. Price: $0.99. Genre: Business Non Fiction Deal of the Day, Sponsor, How to Get Your Dream Job, Interview Secrets and Skills. Rated: 5 stars on 45 Reviews. 88 pages. ASIN: B07LB5Q9K1. **The Eden Paradox (Deal, Not Free) by Barry Kirwan. Price: $0.99. 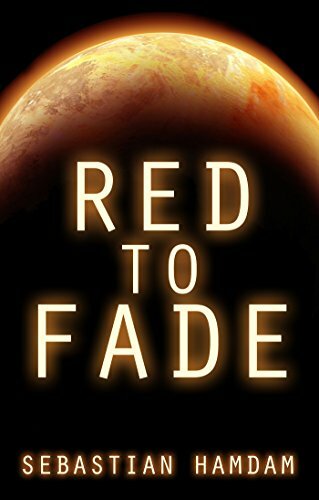 Genre: Space Thriller Deal of the Day, Sponsor, The Third Trip to reach a New Habitable Planet, what will the Crew Find. Rated: 4.4 stars on 46 Reviews. 465 pages. ASIN: B07N35L6F4. Get the paperback version here, please. *Avatars Rising (Silos Book 1) by David R. Bernstein. Price: Free. Genre: Science Fiction of the Day, Values & Virtues, Video Game Adaptations. Rated: 4.5 stars on 21 Reviews. 278 pages. ASIN: B07871JSS8. *The Apollyon Game by Clive Reznor. Price: Free. Genre: Horror Deal of the Day, Sponsor, A Demonic Game, Inhuman Monsters, If You Like Gory Books, Hellbound Heart or Night Shift. Rated: 5 stars on 1 Reviews. 43 pages. ASIN: B075VY65X9. *21 Financial Myths (Deal, Not Free) by Dan Wyson. Price: $0.99. Genre: Money Non Fiction Deal of the Day, Sponsor, Finance, Business and Money, 21 Top Lessons from 30 years of experience as a Financial Advisor. Rated: 4.7 stars on 24 Reviews. 67 pages. ASIN: B078YZD5J8. Get the paperback version here, please. *My Sister’s Murderer (Book 1) by Liv Bennett. Price: Free. Genre: Suspense of the Day. Rated: 4.7 stars on 20 Reviews. 270 pages. ASIN: B07B7PMSBB. *Vengeance Red (Deal, Not Free) by R. C. Schulz. Price: $0.99. Genre: Women’s Fiction Deal of the Day, Sponsor, Quest to understand the cause of a Spy Plane Crash in the Soviet Union. Rated: 5 stars on 9 Reviews. 361 pages. ASIN: B07CJ6598M. *Trust (Things That Matter Series Book 1) (Deal, Not Free) by Casey Diam. Price: $0.99. Genre: Adult Crime Romance Deal of the Day, Sponsor, She saw her family being Assassinated, Since then she’s been trying to Outrun her Past until she meets Caleb, Can she trust him. Rated: 4.7 stars on 35 Reviews. 271 pages. ASIN: B07DNRXN3Z. Get the paperback version at $11.99 here, please. *The Perfect Match: Finding the ONE you were made for (Deal, Not Free) by Wes Raley. Price: $0.99. Genre: Christian Living Deal of the Day, Sponsor, Inspiration to find the one, A Comprehensive Guide to the Art of Dating, Practical Relationship Guidelines. Rated: 5 stars on 24 Reviews. 214 pages. ASIN: B07FKSRLMP. *An Inconvenient Marriage by A.K. MacBride. Price: Free. Genre: Contemporary Romance of the Day, Inspirational. Rated: 4.4 stars on 22 Reviews. 167 pages. ASIN: B07C8R8PZV. *The World of Adam Dunne (Deal, Not Free) by Tobor Eichmann. Price: $0.99. Genre: Dark Thriller Deal of the Day, Sponsor, An Emotional and Somber and Very Unique Story. Rated: 4.5 stars on 19 Reviews. 177 pages. ASIN: B07FSTWG2Q. *In Sickness and in Death (Murder, She Tasted Book 1) by Alana Ling. Price: Free. Genre: Cozy Mystery of the Day, Women Sleuths. Rated: 4.5 stars on 21 Reviews. 214 pages. ASIN: B07CHS773B. ***Pushed (The Dark Flower Series Book 1) by Leah Holt. Price: Free. Genre: Contemporary Romance, New Adult & College. Rated: 4.5 stars on 119 Reviews. 452 pages. ASIN: B075KCDMTY. ***NORMAL: Part One (Something More Book 1) by Danielle Pearl. Price: Free. Genre: Adult Romance, Sponsor, A girl suffering from a debilitating anxiety disorder, A boy battling his own demons, Can they have a normal relationship. Rated: 4.5 stars on 339 Reviews. 390 pages. ASIN: B00MN075MG. *(Box Set Deal, Not Free) Sweet and Sassy in the Snow: Find Your Winter Romance! (Deal, Not Free) by Mona Risk, Natalie Ann, Rachelle Ayala. Price: $0.99. Genre: Romance Box Set Deal, Sponsor, 8 Book Box Set, Star, Love and Pirouettes, Who can Jenna trust. Rated: 4.8 stars on 8 Reviews. 999 pages. ASIN: B07MQS5K5K. *Flying Fossils (Women of Fossil Ridge Book 1) by Lynne Gentry. Price: Free. Genre: Small Town Romance, Sponsor. Rated: 4.9 stars on 17 Reviews. 431 pages. ASIN: B07CGYBJYF. *Flame Road (Scorch Series Book 5) by Toby Neal. Price: Free. Genre: Romance Suspense, Post-Apocalyptic, Dystopian. Rated: 4.4 stars on 53 Reviews. 239 pages. ASIN: B06XQ268QR. *Falsified (The Swithen Book 3) by A. Akinosho. Price is: Free. Genre: Romantic Suspense, Sponsor, Multicultural Romance. Get the free eBook here, please. *Brute (Dark Vultures MC Book 1) by Naomi West. Price: Free. Genre: Romance Suspense, Crime Fiction, Contemporary. Rated: 4.9 stars on 32 Reviews. 177 pages. ASIN: B07DLCBGLF. *The Stranger (Blitzed Book 1) by JJ Knight. Price: Free. Genre: Contemporary Romance, New Adult & College. Rated: 4.5 stars on 45 Reviews. 232 pages. ASIN: B078VJ59X9. USA Today Bestselling Author JJ Knight. ***(Free for Kindle Unlimited) His End Game (MMG Series Book 1) (Deal, Not Free) by RB Hilliard. Price: $2.99. Genre: Adult Second Chance Romance Deal, Sponsor, Ellie must choose between the man who broke her heart and the best friend who loves her. Rated: 4.5 stars on 155 Reviews. 404 pages. ASIN: B00IDAPVBW. Get the paperback version here, please. ***Blossom and the Beast (The Alder Tales Book 1) (Deal, Not Free) by RS McCoy. Price: $0.99. Genre: Romance Deal, Sponsor, USA Today Bestselling Author, A Splendid Retelling of a Classic FairyTtale, If you like Cinder, The Star-Touched Queen. Rated: 4.3 stars on 120 Reviews. 337 pages. ASIN: B01DC8Y20U. USA Today Bestselling Author RS. McCoy. *Date in the Dark by Jami Wagner. Price: Free. Genre: Contemporary Romance, New Adult & College. Rated: 4.8 stars on 12 Reviews. 172 pages. ASIN: B00XAZMK3M. ***Utterly Forgettable (Deal, Not Free) by RB Hilliard. Price: $0.99. Genre: Bar Owner and Apartment Manager Romance Deal, Sponsor, Great Story Full of Emotions and Laughs and Steam. Rated: 4.5 stars on 105 Reviews. 167 pages. ASIN: B01DOR1EBO. Get the paperback version here, please. **(Free for Kindle Unlimited) Fractured Beat (Meltdown Book 1) (Deal, Not Free) by RB Hilliard. Price: $2.99. Genre: Adult Rock Star Romance Deal, Sponsor, The Lead Rocker of Meltdown has a Melt Down, he also has a Sweet and Romantic Side. Rated: 4.7 stars on 281 Reviews. 341 pages. ASIN: B01LWX0RBT. Get the paperback version here, please. **Born to be My Baby (Canyon Creek, CO Book 1) (Deal, Not Free) by Lori Ryan, Kay Manis. Price: $0.99. Genre: Adult Romance Deal, Sponsor, NY Times Bestselling Author, Contemporary Romance. Rated: 4.5 stars on 58 Reviews. 364 pages. ASIN: B077XJY519. NY Times Bestselling Author Lori Ryan. *A Long Way From Love: A new kind of romantic comedy! (The Long Way Book 1) (Deal, Not Free) by Eva Easton. Price: $0.99. Genre: Romantic Comedy Deal, Sponsor, If you like Hilarious Heroines, Gorgeous Guys and a Little bit of Superhero Action. Rated: 5 stars on 1 Reviews. 231 pages. ASIN: B07N3116ZT. An Inconvenient Marriage by A.K. MacBride. Price: Free. Genre: Contemporary Romance, Inspirational. Rated: 4.4 stars on 22 Reviews. 167 pages. ASIN: B07C8R8PZV. *Claimed by the Highlander (The Highlands Warring Scottish Romance) (A Medieval Historical Romance Book) (Deal, Not Free) by Anne Morrison. Price: $0.99. Genre: Scottish Historical Romance Deal, Sponsor, They were Ill-Matched, He’s Charming and Deadly, She’s Intoxicating and Skeptical. Rated: 4.8 stars on 7 Reviews. 429 pages. ASIN: B07NBDLHBS. *Divine Nostalgia, A Love Story (Deal, Not Free) by Barry Carlston. Price: $16.99. Genre: Romance Deal, Sponsor, Evil Millionaire Romance, A Young Man loses his Girlfriend to a Scheming Millionaire, can he win her back. Rated: 5 stars on 1 Reviews. ASIN: 1418433683. Get the paperback version here, please. *Beyond Risk (Florida Wildlife Warriors Book 1) (Deal, Not Free) by Connie Mann. Price: $5.68. Genre: Romance Deal, Sponsor, She hoped moving back home would provide a Safe Haven but there’s a Killer on the Loose, Can the Lieutenant protect her. Rated: 5 stars on 1 Reviews. 416 pages. ASIN: B07GC4KXSM. Also get the paperback version here, please. *Cadence Untouched (Cadence Duet Book 1) (Deal, Not Free) by Dakota Willink. Price: $2.99. Genre: New Adult Romance Deal, Sponsor, who will be there for her, when the Boy of Summer is Gone. Rated: 5 stars on 7 Reviews. 228 pages. ASIN: B07K9L1RH1. Get the paperback version at $9.99 here, please. *Nothing to Lose (The Blackbridge Series Book 4) (Deal, Not Free) by Claire Boston. Price: $3.99. Genre: Women’s Fiction Romance Deal, Sponsor, A Murder brought them together, Will the killer rip them apart. Rated: 5 stars on 1 Reviews. 220 pages. ASIN: B07LC32N8D. Get the paperback version here at $14.99, please. Come October by Patricia Kay. Price: Free. Genre: Contemporary Romance, Women’s Fiction, Literature & Fiction. Rated: 4.7 stars on 6 Reviews. 304 pages. ASIN: B076M7BMTQ. Love’s Sting by MJ Masucci. Price: Free. Genre: Contemporary Romance, Women’s Fiction, Literature & Fiction. Rated: 4.3 stars on 4 Reviews. 280 pages. ASIN: B07M9W6F6S. The Ghosts of Old Dominion by Tracey Quinn. Price: Free. Genre: Paranormal Romance, Ghosts, Military, Literature & Fiction. Rated: 4 stars on 4 Reviews. 283 pages. ASIN: B078XR3LXT. **Viral Intent: Terror in New Orleans (Alexandra Destephano Book 3) by Judith Lucci. Price: Free. Genre: Espionage Thrillers, War Fiction. Rated: 4.6 stars on 82 Reviews. 307 pages. ASIN: B00J7PC69C. Wall Street Journal & USA Today Bestselling Author Judith Lucci. *Ctrl-Alt-Delete (Hagar Trilogy Book 1) (Deal, Not Free) by Dave Lewis. Price: $0.99. Genre: Adult Crime Thriller Deal, Sponsor. Rated: 5 stars on 2 Reviews. 306 pages. ASIN: B005Z284A6. **LASSITER (Jake Lassiter Legal Thrillers Book 8) by Paul Levine. Price: Free. Genre: Legal Thrillers, Hard-Boiled Mystery. Rated: 4.3 stars on 383 Reviews. 305 pages. ASIN: B007PK92XE. Shamus Award Nominee Paul Levine. *Today We Die (The Killing Sands Book 1) (Deal, Not Free) by Daniel P. Wilde. Price: $0.99. Genre: Apocalyptic Thriller Deal, Sponsor, 2093, Ancient Biological Weapon is Uncovered from Sahara Desert. Rated: 4.8 stars on 35 Reviews. 380 pages. ASIN: B075299RJ2. Get the paperback version here, please. *Gewglit: A.I. encounters the Great I Am by Tom Ingram. Price: Free. Genre: Technothriller, Sponsor, A Supercomputer that must Learn by Itself whether it’s Accountable to God. Rated: 4.6 stars on 11 Reviews. 274 pages. ASIN: B07D4QSFHN. *Domino by Chris Barnhart. Price: Free. Genre: Mystery, Sponsor, Everyone seems to want to kill her, to stop her from testifying at a High Profile Murder Case. Rated: 5 stars on 1 Reviews. 249 pages. ASIN: B00ONC6JVK. ISBN: 1520915667. *Cackles and Cauldrons (Womby’s School for Wayward Witches Book 12) by Sarina Dorie. Price: Free. Genre: Cozy Mystery, Paranormal & Urban. Rated: 4.5 stars on 29 Reviews. 212 pages. ASIN: B07LBKL3BW. **The Eden Paradox (Deal, Not Free) by Barry Kirwan. Price: $0.99. Genre: Space Thriller Deal, Sponsor, The Third Trip to reach a New Habitable Planet, what will the Crew Find. Rated: 4.4 stars on 46 Reviews. 465 pages. ASIN: B07N35L6F4. Get the paperback version here, please. *The World of Adam Dunne (Deal, Not Free) by Tobor Eichmann. Price: $0.99. Genre: Dark Thriller Deal, Sponsor, An Emotional and Somber and Very Unique Story. Rated: 4.5 stars on 19 Reviews. 177 pages. ASIN: B07FSTWG2Q. *In Sickness and in Death (Murder, She Tasted Book 1) by Alana Ling. Price: Free. Genre: Cozy Mystery, Women Sleuths. Rated: 4.5 stars on 21 Reviews. 214 pages. ASIN: B07CHS773B. *Igniting the Phoenix: Weapon of War Book One by Alethea Stauron. Price: Free. Genre: Suspense Thriller Deal, Sponsor, A Hidden Soldier Battling Imprisoned Dimensional Enemies in a War is Ordered to Watch the Generals Daughter. Rated: 5 stars on 1 Reviews. 487 pages. ASIN: B07N99BK2D. *Land Without Shame by James Nathaniel Miller II. Price: Free. Genre: Thriller, Survival Stories, Action & Adventure. Rated: 4.9 stars on 20 Reviews. 187 pages. ASIN: B07KW6Z42W. *The Double Life of Tutweiler Buckhead (Deal, Not Free) by Miriam Pia. Price: $20.97. Genre: Crime Thriller Deal, Sponsor, Crime Fiction, A Sheriff takes on a Local Drug Kingpin. Rated: 5 stars on 1 Reviews. ASIN: 1628572256. Get the eBook at the author’s website! $4.99. Get the paperback version here, please. *(Free for Kindle Unlimited) The Stone Thread (Deal, Not Free) by J. Evangelisti. Price: $1.99. Genre: Deranged Killer Thriller Deal, Sponsor, A Word that Transcends Generation, a Killer that Transcends Propriety, A Battle of Good and Evil. Rated: 5 stars on 3 Reviews. 348 pages. ASIN: B009MP6YKO. Get the paperback version here, please. *My Sister’s Murderer (Book 1) by Liv Bennett. Price: Free. Genre: Literature & Fiction, Suspense. Rated: 4.7 stars on 20 Reviews. 270 pages. ASIN: B07B7PMSBB. *(Free for Kindle Unlimited) The Black Kiss Of Death, Montega Chronicles Book 1 (Deal, Not Free) by Keon Smith. Price: $8.99. Genre: Crime Thriller Deal, Sponsor, Los Angeles Underground Crime Syndicate, At war with the Russian Mob and the Columbian Drug Cartels, Drug Trade, Organized Crime. Rated: 4.8 stars on 24 Reviews. 286 pages. ASIN: B07H44XQHB. Get the $15 paperback version here, please. *(Free for Kindle Unlimited) Butterfly Hill (A Matthys Rossouw Pursuit Book 2) (Deal, Not Free) by Brendan Le Grange. Price: $2.99. Genre: Thriller Deal, Sponsor, High Stakes Game of Cat and Mouse, A Dynasty that died 700 years ago, People dying to keep it that way. Rated: 5 stars on 1 Reviews. 259 pages. ASIN: B07K6MYK4Q. Get the paperback version at $9.99 here, please. *Banking on Deceit: A Toni Jasper Murder Mystery by B. J. Dandro. Price: Free. Genre: Mystery, Women Sleuths. Rated: 4.6 stars on 13 Reviews. 257 pages. ASIN: B07CMPJL35. *(Free for Kindle Unlimited) Black Matter: A thriller novel like no other (Deal, Not Free) by GD Parker. Price: $2.99. Genre: SciFi Thriller Deal, Sponsor, If you were Accused of Committing Heinous Crimes you don’t remember, what would you do. Rated: 4.4 stars on 3 Reviews. 272 pages. ASIN: B07KJNDX1P. *Small Talk by Robert Germaux. Price: Free. Genre: Mystery, Serial Killers. Rated: 5 stars on 8 Reviews. 266 pages. ASIN: B00UA1O9Q0. *Up In Flames by Brittani Bennett. Price: Free. Genre: Crime Thriller, Family Life. Rated: 5 stars on 5 Reviews. 241 pages. ASIN: B07K9YFTKN. The Gods Defense (Laws of Magic Book 1) by Amie Gibbons. Price: Free. Genre: Mystery, Women Sleuths, Women’s Fiction. Rated: 4.2 stars on 29 Reviews. 262 pages. ASIN: B01DRORT2W. Wired (A Jade Weekes Art Mystery Book 1) by Judith Gaines. Price: Free. Genre: Conspiracies Thrillers, International Mystery & Crime. Rated: 4.1 stars on 27 Reviews. 207 pages. ASIN: B00C0BVQZA. Murder at the Columbarium by Emily Gallo. Price: Free. Genre: Mystery. Rated: 4.5 stars on 7 Reviews. 220 pages. ASIN: B07HLVQ5DX. *A Christmas Carousel Proposal: A Clean Romance – First Love Reunion (12 Days of Heartwarming Christmas Book 0) by Melinda Curtis, Cari Lynn Webb. Price: Free. Genre: Christian Romance, Anthologies, Clean & Wholesome, Romantic Suspense. Rated: 4.5 stars on 31 Reviews. 208 pages. ASIN: B07DNFBZ86. USA Today Bestselling Author Melinda Curtis. *Restoration: Heal Your Soul, Heal Your Life (Deal, Not Free) by Beau Adams. Price: $0.99. Genre: Christian Book Deal, Sponsor, Nuggets of wisdom, We are fighting battles God never intended us to fight. Rated: 5 stars on 9 Reviews. 110 pages. ASIN: B07KYQW7RT. *The Perfect Match: Finding the ONE you were made for (Deal, Not Free) by Wes Raley. Price: $0.99. Genre: Christian Living Deal, Sponsor, Inspiration to find the one, A Comprehensive Guide to the Art of Dating, Practical Relationship Guidelines. Rated: 5 stars on 24 Reviews. 214 pages. ASIN: B07FKSRLMP. *The One (Deal, Not Free) by RD Palmer. Price: $0.99. Genre: Christian Mystery & Suspense Deal, Sponsor, An Epic Adventure of Good versus Evil. Rated: 4.2 stars on 19 Reviews. 309 pages. ASIN: B07HR1J1K2. *Maddie and Bean by Jean L. Kuhnke. Price: Free. Genre: Christian Romance, Western & Frontier, Inspirational. Rated: 5 stars on 5 Reviews. 134 pages. ASIN: B075J5S2PL. *Peregrination: The Journey to Wellness (Deal, Not Free) by Sonny Weathersby. Price: $0.99. Genre: Christian Fiction Deal, Sponsor, A Man takes on many Challenges, Surviving Homelessness and Joblessness and Hopelessness, the Loss of Loved Ones and Friends, his Journey to his Destiny. Rated: 4.9 stars on 20 Reviews. 114 pages. ASIN: B07MTSRRH1. *Mary of Nazareth, The Early Years book 1 (Virgin Mary) (Deal, Not Free) by David M Keane. Price: $2.99. Genre: Christian Book Deal, Sponsor, Mary’s Parents, Her Time in the Temple. Rated: 5 stars on 1 Reviews. 239 pages. ASIN: B07F5Y1WFR. Get the paperback version at $8.80 here, please. Rocky Mountain Angels: A Contemporary Faith Romance (Rocky Mountain Series Book 1) by Jodi Bowersox. Price: Free. Genre: Christian Romance, Contemporary, Inspirational. Rated: 4.3 stars on 93 Reviews. 288 pages. ASIN: B00IRJ9HGY. *Avatars Rising (Silos Book 1) by David R. Bernstein. Price: Free. Genre: Science Fiction, Values & Virtues, Video Game Adaptations. Rated: 4.5 stars on 21 Reviews. 278 pages. ASIN: B07871JSS8. *Elji and the Galrass (The Essence Sagas Book 1) (Deal, Not Free) by Colin Sinclair. Price: $3.99. Genre: Science Fiction Deal, Sponsor, The Galrass embroils Elji in a struggle he never expected to be part of, or even imagined existed. Rated: 5 stars on 1 Reviews. 197 pages. ASIN: B07DZJ6LRZ. Get the paperback version here, please. *(Free for Kindle Unlimited) Wild Hearts: The Coming Night (Deal, Not Free) by Andrew Wichland. Price: $2.99. Genre: Science Fiction Deal, Sponsor, Dragons Knights, Spectral Aliens, A Fight for the Galaxy. Rated: 4.5 stars on 6 Reviews. 145 pages. ASIN: B07F43CY3F. Get the paperback version here at $9.89, please. *Doyle’s Law (Deal, Not Free) by Sam Roberts. Price: $6.39. Genre: Science Fiction Deal, Sponsor, Space Travel, Space Opera, A Decaying Space Station, A Disgraced Scientist, A New Propulsion System, Things Fall Apart. Rated: 5 stars on 1 Reviews. 486 pages. ASIN: B07KQN1DXC. Get the $13.98 paperback version here, please. *The Monarch Papers (The Briar Archive Book 1) by C.J. Bernstein. Price: Free. Genre: Fantasy, Women’s Adventure. Rated: 4.6 stars on 18 Reviews. 370 pages. ASIN: B07F3P72ZG. *The Elfkin Journals: Blending Of The Races by JDeVereS. Price: Free. Genre: Epic Fantasy, Sponsor, Can a Team of 7 Warders take on an entire Empire of Genetically Mutated Demi Gods. Rated: 5 stars on 1 Reviews. 392 pages. ASIN: B07HQZHJ2L. *Dragon Compass: Book One of Raizen by John Bueter. Price: Free. Genre: Epic Fantasy, Sponsor, If you like Martial Arts or Asian Fantasy. Rated: 5 stars on 5 Reviews. 230 pages. ASIN: B07JR7ZL9V. *The World of Pangea: Path of the Warrior by Michael Davies. Price: Free. Genre: Fantasy, Epic, Military. Rated: 4.8 stars on 16 Reviews. 219 pages. ASIN: B00W2PBW0S. *Personal Demons (Jason Storm, Monster Hunter Book 1) by David Morrison. Price: Free. Genre: Fantasy, Sponsor, Monster Hunters and Shady Corporations. Rated: 5 stars on 1 Reviews. 290 pages. ASIN: B07M6G6DRY. *Something (Wisteria Book 1): A Coming of Age Dark Fantasy Series With Demons, Mental Illness and Religion (Deal, Not Free) by Shelby Lamb, Lorelei Logsdon, Hogan Hogan. Price: $0.99. Genre: Adult Dark Fantasy Romance Deal, Sponsor, Demons, Mental Illness, Religion. Rated: 4 stars on 84 Reviews. 417 pages. ASIN: B07GTNG284. *Birth of Magic: A Sun-Blessed Trilogy Novella by Carol Beth Anderson. Price: Free. Genre: Historical Fantasy. Rated: 5 stars on 5 Reviews. 134 pages. ASIN: B07N6PLN33. *Within the Darkness (Wisteria Book 2): A Dark Fantasy Dystopian With Demons and Monsters – Mature Content (Deal, Not Free) by Shelby Lamb. Price: $0.99. Genre: Adult Fantasy Romance Deal, Sponsor, Ghosts and Demons and Devils, The hidden Domain, Her Dream Man, Her Nemesis and Friend. Rated: 5 stars on 1 Reviews. 365 pages. ASIN: B07MLKFKZ8. *(Free for Kindle Unlimited) EMPIRE PALADIN: Realm of the Dead (Deal, Not Free) by M. S. Valdez. Price: $2.99. Genre: Epic Historical Fantasy Deal, Sponsor, Holy Roman Empire, 1241. Rated: 4.6 stars on 12 Reviews. 280 pages. ASIN: B00UG9E1FK. *Forever: The Autobiography of Peter Pan & Confessions of Tinkerbell by Rob Brockman. Price: $2.99. Genre: Fantasy for All Ages Deal, Sponsor, A Fairy Girl Becomes an Adult in an Instant, Peter Pan. Rated: 5 stars on 1 Reviews. 448 pages. ASIN: B07CWCBJ7C. Get the $15.57 paperback version here, please. *The Void Place (The Swithen Book 3) (Deal, Not Free) by Scott Telek. Price: $2.99. Genre: Romance Fantasy Deal, Sponsor, A Juicy, Twisted Love Story Rife with Vicious Hatreds, Unforgiveable Crimes and Unexpected Tenderness. Rated: 4.4 stars on 3 Reviews. 591 pages. ASIN: B07J5YP7JL. Get the paperback version here, please. *(Free for Kindle Unlimited) Blood Rebirth: Divine Series (Deal, Not Free) by Stevie McCoy. Price: $3.99. Genre: Fantasy Deal, Sponsor, Supernatural Fantasy. Rated: 4 stars on 1 Reviews. 244 pages. ASIN: B07L62MLP2. Get the eBook version here, please. *Princess of Sky, Earth, Fire and Water (The Princess of Nature Series Book 1) (Deal, Not Free) by Cassandra Finnerty. Price: $0.99. Genre: Historical Fantasy Romance Deal, Sponsor, 1772, A Naval Commander who has the Power to Command Sky and Earth and Fire and Water. Rated: 4.7 stars on 7 Reviews. 242 pages. ASIN: B07MXQ7M59. *Slipstream Alpha (Slipstream Book 1) (Deal, Not Free) by Mike Solyom. Price: $3.99. Genre: Fantasy Deal, Sponsor, Two men, One good and another evil, But only one will win. Rated: 5 stars on 1 Reviews. 367 pages. ASIN: B07MYKV7RT. Get the paperback version here at $10.99, please. Flames of Truth: New Edition 2019 (The Lost Fae Book 1) by A.C. Pontone, Annie Crawford. Price: Free. Genre: Fantasy, Paranormal & Urban, New Adult & College. Rated: 4.7 stars on 4 Reviews. 244 pages. ASIN: B07ND1QD8F. *The Woods by Milo Abrams. Price: Free. Genre: Horror, Suspense. Rated: 4.5 stars on 12 Reviews. 244 pages. ASIN: B01G0JL32I. *The Apollyon Game by Clive Reznor. Price: Free. Genre: Horror Deal, Sponsor, A Demonic Game, Inhuman Monsters, If You Like Gory Books, Hellbound Heart or Night Shift. Rated: 5 stars on 1 Reviews. 43 pages. ASIN: B075VY65X9. ***The Secret Life of Mrs. London, A Novel (Deal, Not Free) by Rebecca Rosenberg. Price: $0.99. Genre: Historical Fiction Deal, Sponsor, 1915, As America teeters on the brink of war, A Woman is torn between Jack London and Harry Houdini. Rated: 4.4 stars on 220 Reviews. 320 pages. ASIN: B072KRP7MN. ISBN: 1542048737. Get the paperback version at $10.37 here, please. Also get the audiobook here. *Blood Sacrifice (Serial Killer’s Son Book 1) by Joseph Magellan. Price: Free. Genre: Horror, Psychological Thrillers. Rated: 5 stars on 4 Reviews. 198 pages. ASIN: B076NTZHVQ. *(Free for Kindle Unlimited) The General Theory of Haunting (The Snow Trilogy Book 1) (Deal, Not Free) by Richard Easter. Price: $2.99. Genre: Spooky Horror Deal, Sponsor, A Gothic Feel. Rated: 4.4 stars on 45 Reviews. 299 pages. ASIN: B077XVY4YV. Get the UK version here, please. Needle Freak by J.L. Aarne. Price: Free. Genre: Horror, Gay Fiction. Rated: 4.1 stars on 5 Reviews. 279 pages. ASIN: B01FP1ALBG. *Trouble In Glamour Town by S. R. Mallery. Price: Free. Genre: 20th Century Historical Romance, Historical Mystery. Rated: 4.7 stars on 36 Reviews. 202 pages. ASIN: B077D7T2KC. USA Today Bestselling Author S. R. Mallery. *My Heart Needs (The Heart Duet Book 1) by Nicole S. Goodin. Price: Free. Genre: YA Romance, Coming of Age. Rated: 4.7 stars on 18 Reviews. 166 pages. ASIN: B07FM5YQST. *Smiling Ghosts: A thrilling adventure with extraterrestrials hidden among us! (Deal, Not Free) by Bridgette Ehly. Price: $0.99. Genre: YA Paranormal & Urban Fantasy Deal, Sponsor, The World is not what it seems, Neither is Miranda’s New Boyfriend, Second Apocalyptic Death. Rated: 5 stars on 3 Reviews. 365 pages. ASIN: B07HNFKV7S. *The Little Prince Returns by Yoram Selbst. Price: Free. Genre: Children’s Books. Rated: 4.8 stars on 9 Reviews. 156 pages. ASIN: B07LB8NPWD. **The Gold Egg by Dan Wyson CFP, Ule B. Wise. Price: Free. Genre: Children’s Fiction, Sponsor, Wisdom and Lessons, A Difficult and Painful Climb, to reach the Gold Egg at the Top of a Tree. Rated: 5 stars on 34 Reviews. 64 pages. ASIN: B079QD5S4Q. *ABC Animal Group Name Book 1 Version II by Christopher Webb. Price is: $15.99. Genres are: Children’s Book Deal, Sponsor, Learn the Alphabet, Great for Young Kids. Learn more at the ABC Animals Group Names Page. *(Free for Kindle Unlimited) Dragon Knight Chronicles Book 1: The Awakening (Deal, Not Free) by Andrew Wichland. Price: $2.99. Genre: Children’s Fantasy Deal, Sponsor, Lord of the Rings. Rated: 4.2 stars on 16 Reviews. 122 pages. ASIN: B01GAFBQGA. Get the paperback version here, please. La Porteuse de pain (French Edition) (Repeat) by Xavier de Montépin. Price: Free. Genre: French. Rated: 4.5 stars on 9 Reviews. 718 pages. ASIN: B005Q3A5SI. *Burden of Sisyphus (Brink of Distinction Book 1) by Jon Messenger. Price: Free. Genre: Adventure. Rated: 4.2 stars on 97 Reviews. 360 pages. ASIN: B00EZV85WK. *(Free for Kindle Unlimited) Deliverance: A Novel (The Deliverance Series Book 1) (Deal, Not Free) by Samantha Schinder. Price: $3.99. Genre: Fantasy Adventure Deal, Sponsor, A Journey of understanding herself and the World around her. Rated: 4.9 stars on 21 Reviews. 419 pages. ASIN: B07MP5J3S9. Get the paperback version here at $16.99, please. The Rogue World (Path of seven Book 2) by Norman Robertson, Paula Cook. Price: Free. Genre: Adventure. Rated: 4.3 stars on 6 Reviews. 231 pages. ASIN: B072DVJ56Z. *Stiletto: Poppy’s revenge by Shay Bell. Price: Free. Genre: Contemporary Fiction, Psychological. Rated: 4.5 stars on 46 Reviews. 492 pages. ASIN: B01MPZIULX. The Early Cases of Hercule Poirot by Agatha Christie. Price: Free. Genre: Classic, Mystery. Rated: 4.6 stars on 5 Reviews. 236 pages. ASIN: B07NDRYQHZ. *The One, the Only, the Amazing… (Deal, Not Free) by Bonnie Shiloh. Price: $0.99. Genre: 18+ Fiction Deal, Sponsor, A Fantastic Tale of a Man who could make a woman go just by looking into her eyes. Rated: 5 stars on 2 Reviews. 336 pages. ASIN: B07G83XXPZ. *Vengeance Red (Deal, Not Free) by R. C. Schulz. Price: $0.99. Genre: Women’s Fiction Deal, Sponsor, Quest to understand the cause of a Spy Plane Crash in the Soviet Union. Rated: 5 stars on 9 Reviews. 361 pages. ASIN: B07CJ6598M. *The Roughneck & the Lady (Deal, Not Free) by Erin Wade. Price: $9.95. Genre: Women’s Fiction Deal, Sponsor, Lesbian Fiction. Rated: 4.3 stars on 49 Reviews. 304 pages. ASIN: B07FNDNJ3F. Get the $15.95 paperback version here, please. **Secrets, Lies, and Soul Ties by Tabitha Middleton. Price: Free. Genre: African American Romance, Women’s Fiction. Rated: 4.8 stars on 51 Reviews. 224 pages. ASIN: B014921350. *King Me (Deal, Not Free) by Season Vining. Price: $2.99. Genre: African American Romance Deal, Sponsor, Secrets, Mystery, Voodoo, Murder, Tragedy, and a Love Story all in One Book. Rated: 4.9 stars on 12 Reviews. 307 pages. ASIN: B07L8GR4WM. ISBN: 1792116675. Please also get the paperback version here, at $14.53. *Contract Baby (Babies for Billionaires Book 1) by Fallyn Briggs. Price: Free. Genre: African American Romance, United States. Rated: 4.7 stars on 22 Reviews. 226 pages. ASIN: B07MHC1SQF. ***(Free for Kindle Unlimited) Bad Boys Love Good Girls: The Return of the Outlaw (Deal, Not Free) by Porscha Sterling. Price: $5.99. Genre: African American Romance Deal, Sponsor, Can the right woman really make a bad boy change. Rated: 4.6 stars on 95 Reviews. 267 pages. ASIN: B07MW3CQ6R. Get the eBook version here, please. *Risking It All For The Love Of A Boss 2 by Naya Morgan. Price: Free. Genre: African American Fiction, Women’s Fiction, Urban. Rated: 4.8 stars on 9 Reviews. 144 pages. ASIN: B07MT95T4Z. *(Free for Kindle Unlimited) Montega, Montega Chronicles Book 2 (Deal, Not Free) by Keon Smith. Price: $9.99. Genre: African American Thriller Deal, Sponsor, Kenneth Montega Carter, the Vigilante Phantom, Fueled by a lust for Revenge, Can the one Queen help him become the man he is destined to be. Rated: 4.5 stars on 2 Reviews. 450 pages. ASIN: B07K7TH37P. Get the paperback version here at $15, please. *Because You Came Back by Ian Finn. Price: Free. Genre: Gay Romance, Gay Fiction, Romantic Comedy. Rated: 4.6 stars on 26 Reviews. 189 pages. ASIN: B07KNZH94X. *(Free for Kindle Unlimited) Gone to the Dogs: The Story of Britain’s 14th Most Successful Sit-Com (Deal, Not Free) by Simon Gary. Price: $2.99. Genre: Entertainment Fiction Deal, Sponsor, Satiric Story about Britain’s 14th most Successful Sitcom. Rated: 5 stars on 1 Reviews. 200 pages. ASIN: B07LHC775L. Herky Jerky by Kevin Kearney. Price: Free. Genre: Satire, Humorous, Crime Fiction. Rated: 4.3 stars on 4 Reviews. 238 pages. ASIN: B016J001SK. Think Laugh Love Die! : Poems Set in Stone by JA Stone. Price: Free. Genre: Poetry, Death, Love & Erotica. Rated: 5 stars on 4 Reviews. 186 pages. ASIN: B06XWZFDLJ. **Weight Watchers Freestyle Slow Cooker Cookbook 2019: Start Healing Your Body With Healthy & Delicious Weight Watchers Smart Points Recipes by Rosalind G. Gabbard. Price: Free. Genre: Cookbooks, Food & Wine, Special Diet, Healthy. Rated: 4.8 stars on 53 Reviews. 116 pages. ASIN: B07MQTDV69. *College Cookbook: Healthy, Budget-Friendly Recipes for Every Student | Gain Energy While Enjoying Delicious Meals by Tiffany Shelton. Price: Free. Genre: Cookbooks, Food & Wine, Quick & Easy. Rated: 5 stars on 13 Reviews. 209 pages. ASIN: B07N59KF4L. *Complete Keto Fat Bombs Cookbook: Learn 300 New, Quick and Easy, Freestyle, Sweet and Savory Ketogenic Make Ahead Snacks and Treats for Effective Weight Loss with Low Food Points, Carb and Calories by Martina Baker. Price: Free. Genre: Cookbooks, Food & Wine, Regional & International, U.S. Regional, Midwest. Rated: 5 stars on 5 Reviews. 80 pages. ASIN: B07N8HGD4H. *INSTANT POT COOKBOOK: Great quick and easy recipes. Instant pot recipes book – Instant pot CookBook for beginners and Advanced Users by Louis Borl. Price: Free. Genre: Cookbooks, Food & Wine. Rated: 5 stars on 3 Reviews. 102 pages. ASIN: B07NC779FR. *Healthy and Easy Rice Cooker Recipes for Two: Best Whole Food Rice Cooker Recipe Cookbook and Instructions How to Use a Rice Cooker (+ Weight Loss Rice Recipe, 7 days Rice Diet Plan) by Henry Wilson. Price: Free. Genre: Health, Fitness & Dieting. Rated: 4.9 stars on 28 Reviews. 349 pages. ASIN: B07MCVT3WF. *The Keto Diet Crock Pot Cookbook: 101 Healthy and Easy Ketogenic Crock Pot Recipes for Weight Loss (quick easy crock pot meals, ketogenic diet for beginners, … pot keto) (Keto crock pot recipes Book 1) by Grace Jennings. Price: Free. Genre: Cookbooks, Food & Wine, Special Diet, Ketogenic. Rated: 4.7 stars on 15 Reviews. 228 pages. ASIN: B07N5B8L31. *Natural Remedies: Ancient Cures, Natural Treatments and Home Remedies for Health by Martha McDowell. Price: Free. Genre: Health, Fitness & Dieting, Alternative Medicine, Naturopathy. Rated: 4.6 stars on 11 Reviews. 94 pages. ASIN: B00LD9HK1E. *KETO DIET SNACKS: The secret best ketogenic snacks to sweetly reduce fat and live healthy! (Ultimate Ketogenic Diet Book 1) by Richard McWhites. Price: Free. Genre: Cookbooks, Food & Wine, Special Diet, Low Fat. Rated: 4.3 stars on 52 Reviews. 115 pages. ASIN: B07K7WTTCB. Salads To Go by Don Orwell. Price: Free. Genre: Cookbooks, Food & Wine, Quick & Easy, Cooking for One. Rated: 4.8 stars on 6 Reviews. 215 pages. ASIN: B07MJYV4VS. Ketogenic Bread Cookbook: Over 50 Easy and Exciting low-carb Keto Bread Baking Recipes for Weight Loss by Nicole James. Price: Free. Genre: Cookbooks, Food & Wine, Special Diet, Low Carb. Rated: 4.4 stars on 31 Reviews. 124 pages. ASIN: B07KFRXB3V. *The Renaissance: A Captivating Guide to a Remarkable Period in European History, Including Stories of People Such as Galileo Galilei, Michelangelo, Copernicus, Shakespeare, and Leonardo da Vinci by Captivating History. Price: Free. Genre: History, Europe, Southern, Italy. Rated: 5 stars on 10 Reviews. 101 pages. ASIN: B07NCC7LC8. *Entry-Level Cancer: My First Six Months in the Club That No One Wants to Join by David Baskett. Price: Free. Genre: Biographies & Memoirs, Sponsor, Surviving Cancer for 10+ years, Humorous True Story, Entry Level to Cancer. Rated: 4.6 stars on 12 Reviews. 199 pages. ASIN: B00N2FRW7Y. *The Cancer that Died of Laughter by Eyal Eltawil. Price: Free. Genre: Biographies & Memoirs. Rated: 5 stars on 5 Reviews. 156 pages. ASIN: B07KVGK5QN. *The King and Mrs. Simpson: The True Story of the Commoner Who Captured the Heart of a King (Deal, Not Free) by Erin Schulz, Janet Schulz. Price: $4.99. Genre: Biographies & Memoirs Deal, Sponsor, Wallis Simpson and King Edward VIII of Great Britain, The King who Abdicated his Throne for the Woman he Loved. Rated: 4 stars on 25 Reviews. 142 pages. ASIN: B001CJ9SHO. Get the paperback version here at $9.99, please. *Becoming Israeli: The Hysterical, Inspiring and Challenging Sides of Making Aliyah by Akiva Gersh. Price: Free. Genre: History. Rated: 4.7 stars on 18 Reviews. 263 pages. ASIN: B07124L1F3. *Up, From Where We’ve Come (Deal, Not Free) by Charles Wright. Price: $5.99. Genre: Biographies & Memoirs Deal, Sponsor, Legendary Singer and Musician shares his Story of Growing up in a Cotton Plantation in Rural Mississippi. Rated: 4.7 stars on 21 Reviews. 250 pages. ASIN: B0172DGGBE. ISBN: 1521116849. Get the paperback version at $16.36 here, please. *Army of the Dog (Deal, Not Free) by JJ Johnson. Price: $6.99. Genre: Philosophical Fiction Deal, Sponsor, Ancient Greek Philosophers and Philosophy Wrapped into a Beautiful Story, If Ancient Greek Philosophers were alive today, Living in Colorado, what could you learn from them. Rated: 4 stars on 1 Reviews. 275 pages. ASIN: B07K5GX4S9. Get the paperback version here at $14, please. My A.R.R.A. : Growing into me by J.C. Sykes. Price: Free. Genre: Biographies & Memoirs. Rated: 4.7 stars on 5 Reviews. 214 pages. ASIN: B079KSNDF5. History of the English People, Volume V Puritan England, 1603-1660 by John Richard Green. Price: Free. Genre: History, United Kingdom. Rated: 4.4 stars on 4 Reviews. 270 pages. ASIN: B004TRA7NU. Oscar Wilde: A Life From Beginning to End by Hourly History. Price: Free. Genre: Biographies & Memoirs, Professionals & Academics, Journalists, History, Europe, Western, Ireland. Rated: 4 stars on 12 Reviews. 36 pages. ASIN: B07GXRH3YS. ***Fearless & Fabulous: 10 Powerful Strategies for Getting Anything You Want in Life by Cara Alwill Leyba. Price: Free. Genre: Nonfiction, Self-Help, Self-Esteem. Rated: 4.7 stars on 141 Reviews. 120 pages. ASIN: B00MBW0OTM. *The Type 2 Diabetes Monster and How to Tame It: Face Your Type 2 Diagnosis with Courage and Hope (Deal, Not Free) by D.L. Hughes. Price: $0.99. Genre: Nonfiction Book Deal, Sponsor, Health, The good, the bad and embarrassing experiences of being diagnosed with Type 2 diabetes. Rated: 5 stars on 1 Reviews. 117 pages. ASIN: B07N993PY2. ***Confidence: How to Overcome Your Limiting Beliefs and Achieve Your Goals by Martin Meadows. Price: Free. Genre: Nonfiction, Self-Help, Stress Management. Rated: 4.5 stars on 130 Reviews. 75 pages. ASIN: B00VT1AO8C. *Legitimate Work From Home Opportunities: A Phenomenal Collection of Verified Online Resources And Business Ideas To Boost Your Income For 2019 and Beyond! (Predicting Your Success Series Book 1) by Samir Jhaveri. Price: Free. Genre: Non Fiction Book, Sponsor, Online Jobs, Legitimate Resources for Performing Simple Tasks to Earn Money Online Depending on your Expertise and Skillset. Rated: 5 stars on 3 Reviews. 97 pages. ASIN: B07NCBY57M. *How to Be Confident and Destroy Low Self-Esteem: The Ultimate Guide for Turning Your Life Around by Beau Norton. Price: Free. Genre: Nonfiction, Self-Help, Self-Esteem. Rated: 4.5 stars on 43 Reviews. 50 pages. ASIN: B00GXP0V6E. **Interview Preparation and Success Tips: A Detailed Guide on How to Answer Interview Questions and Bag That Dream Job! (Deal, Not Free) by Ernest Enabulele. Price: $0.99. Genre: Business Non Fiction Deal, Sponsor, How to Get Your Dream Job, Interview Secrets and Skills. Rated: 5 stars on 45 Reviews. 88 pages. ASIN: B07LB5Q9K1. *21 Financial Myths (Deal, Not Free) by Dan Wyson. Price: $0.99. Genre: Money Non Fiction Deal, Sponsor, Finance, Business and Money, 21 Top Lessons from 30 years of experience as a Financial Advisor. Rated: 4.7 stars on 24 Reviews. 67 pages. ASIN: B078YZD5J8. Get the paperback version here, please. *Sacred Wisdom of Healing: A Practical Guide to Love, Happiness & Healing by Kathy Dale. Price: Free. Genre: Nonfiction, Self-Help. Rated: 5 stars on 6 Reviews. 142 pages. ASIN: B07L6VGZ6X. *120 Solutions For Life (Deal, Not Free) by Aver Stu. Price: $0.99. Genre: Non Fiction Deal, Sponsor, The Greatest Gift you can give your Loved Ones is a Healthy you. Rated: 5 stars on 1 Reviews. 142 pages. ASIN: B07JL5LSKC. ISBN: 1728785014. Get the paperback version here, please. *Understanding Pain is Your Guide to Healing by Hayuta Epstein. Price: Free. Genre: Nonfiction, Self-Help. Rated: 4.5 stars on 11 Reviews. 321 pages. ASIN: B07JR8MNDV. *Viral Personal Branding: Marketing a personal brand, building buzz and getting your dream clients (Deal, Not Free) by Mike Allebach. Price: $0.99. Genre: Non Fiction Deal, Sponsor. Rated: 5 stars on 16 Reviews. 88 pages. ASIN: B07MWF5ZHV. **Live True, A Mindfulness Guide to Authenticity (Deal, Not Free) by Ora Nadrich. Price is: $17.94. Genres are: Non Fiction Health and Wellness Deal, Sponsor, Vividly Illustrated Breakdown of the Philosophy of Mindfulness. ASIN: 0578432102. *Allergic To Average: How To Ditch The Rules & Do Business And Life Your Way (Deal, Not Free) by Cassie Howard. Price: $8.88. Genre: Nonfiction Book Deal, Sponsor, Ditch the rules and do business and life on your terms. Rated: 5 stars on 1 Reviews. 201 pages. ASIN: 1794361502. Get the paperback version here, please. *(Free for Kindle Unlimited) The Quadity (Deal, Not Free) by Jacob Pfeiffer. Price: $1.99. Genre: Non Fiction Deal, Sponsor, Presents Deep Concepts while still giving a Message of Hope, A Worthwhile Journey. Rated: 4.9 stars on 30 Reviews. 104 pages. ASIN: B01MZEAI53. Get the paperback version at $8.99 here, please. *The Passive Income Guide, What is your return on life (Deal, Not Free) by John Larson. Price: $1.99. Genre: Investing Guide Deal, Sponsor, Leverage Real Estate Experts to Put Your Money to work for You. Rated: 5 stars on 1 Reviews. 66 pages. ASIN: B07GV3ZY1Y. Get the paperback version at $6.99 here, please. *MY CELL PHONE CAN THINK, A Textbook on Artificial Intelligence (Deal, Not Free) by Michiro Negishi. Price: $6.99. Genre: Artificial Intelligence Guide Deal, Sponsor, Very Simple and Basic Guide to AI, Technology Non Fiction. Rated: 5 stars on 3 Reviews. 146 pages. ASIN: B07JBHWCVC. Get the paperback version at $19.99 here, please. *Self Value The Story of Me (Deal, Not Free) by Brandon Williams. Price: $0.99. Genre: Non Fiction Deal, Sponsor, Biographies & Memoirs, An Inspirational Journey of Perseverance. Rated: 5 stars on 1 Reviews. 215 pages. ASIN: B07KYCF3QG. Get the paperback version here at $7.99, please. *SECRETS To HEALTH, Exploring The Secrets To a Healthy DIET and Lifestyle, Inspired by the Ancient ESSENES (Deal, Not Free) by Florence Mabwa. Price: $10.99. Genre: Non Fiction Deal, Sponsor, Health and Fitness, Diet and Nutrition Guide, Years of Research, A Revolutionized Mindset of Life, Discover a Powerful Approach to Diet and Nutrition. Rated: 5 stars on 1 Reviews. 289 pages. ASIN: B07LB8BN36. Get the $17.99 paperback version here, please. *Nudge for the Planet, A guide towards a new worldview (Deal, Not Free) by Ginette Riopelle. Price: $5.13. Genre: Non Fiction Deal, Sponsor, What if two ingredients were the only things missing to make a real change in the Planet. Rated: 5 stars on 1 Reviews. 92 pages. ASIN: B07M8PDNRW. *90 Days to Live, Beating Cancer When Modern Medicine Offers No Hope (Deal, Not Free) by Rodney Stamps. Price: $9.99. Genre: Non Fiction Deal, Sponsor, A must read for anyone feeling trapped by their choices and thinking there’s no hope, Surviving Cancer. Rated: 5 stars on 6 Reviews. 270 pages. ASIN: B07MFT4H8Q. ISBN: 0999372211. Get the paperback version at $16.99 here, please. Celtic Knot Artwork: with Gaelic Proverbs by Lorraine Kelly. Price: Free. Genre: Nonfiction, Individual Artists, Arts & Photography. Rated: 4.8 stars on 5 Reviews. 58 pages. ASIN: B074TKB456. The Definitive Values Book: A self-help guide to assist you in finding better morals, principals, and overall standards for yourself by Devin Blue. Price: Free. Genre: Nonfiction, Self-Help, Personal Transformation. Rated: 4.7 stars on 4 Reviews. 22 pages. ASIN: B00T52E370. The Affair at the Semiramis Hotel by A. E. W. (Alfred Edward Woodley) Mason. Price: Free. Genre: Nonfiction. Rated: 4.2 stars on 4 Reviews. 37 pages. ASIN: B0073Y8UXA. Counting Numbers: Spanish to English Counting Numeros en Ingles (Pedro & Pete Spanish Kids Book 1) by Bobby Basil. Price: Free. Genre: Nonfiction, Education & Teaching, Contemporary Methods, Bilingual. Rated: 4.2 stars on 4 Reviews. 23 pages. ASIN: B07GGH5LQP. White Slavery in the Barbary States by Charles Sumner, E. R. Billings. Price: Free. Genre: Nonfiction. Rated: 4 stars on 22 Reviews. 69 pages. ASIN: B004TR2KYO. **How To Crochet – A Guide For Newbies (Crafty Creations Book 1) by Sarah Taylor. Price: Free. Genre: Crafts, Hobbies & Home, Needlework, Crocheting, Fashion. Rated: 4.3 stars on 116 Reviews. 102 pages. ASIN: B009W2TFS0. *Smart Travel Guide to 18 National Parks in the Midwest & Eastern U.S.: Camping & Hiking Guide – Also Mt. Rushmore National Memorial & Three 14-Day Park Hopper Travel Plans by Rob Simms. Price: Free. Genre: Nonfiction, Travel, Food, Lodging & Transportation, Parks & Campgrounds. Rated: 5 stars on 3 Reviews. 165 pages. ASIN: B07NC93J4J. Keyhole Gardening: An Introduction To Growing Vegetables In A Keyhole Garden (Gardening Techniques Book 7) by James Paris. Price: Free. Genre: Crafts, Hobbies & Home, Gardening & Horticulture, Techniques. Rated: 4.2 stars on 14 Reviews. 91 pages. ASIN: B015875JFK. **Get More Done in Less Time: How to Be More Productive and Stop Procrastinating: (Increase Productivity, Overcome Procrastination, and Get Motivated) (Productivity & Motivation 101 by Beau Norton. Price: Free. Genre: Business & Money, Business Life, Time Management. Rated: 4.5 stars on 63 Reviews. 63 pages. ASIN: B00HSCNC3U. *(Free for Kindle Unlimited) Think Smart Not Hard, 52 Key Principles To Success and Happiness (Deal, Not Free) by Roy Huff. Price: $5.99. Genre: Business and Success Non Fiction Deal, Sponsor, Guide to Live to Your Full Potential, A Combination of Science and Gestalt Psychology, Energise Yourself. Rated: 4.6 stars on 166 Reviews. 266 pages. ASIN: B071JTGJ41. Get the paperback version at $14.99 here, please. *Treat Climate Change, Save the Earth: How to Prevent Flooding and Drought to Slow Global Warming (Treating the Symptoms of Climate Change Book 1) by Amanda Rothman. Price: Free. Genre: Business & Money, Economics, Environmental Economics. Rated: 4.7 stars on 30 Reviews. 86 pages. ASIN: B017FP4G48. *52 Ways to Sell More Books: Simple, Cost-Effective, and Powerful Strategies to get More Book Sales by Penny C. Sansevieri. Price: Free. Genre: Business & Money, Marketing & Sales, Marketing, Direct. Rated: 4.3 stars on 50 Reviews. 205 pages. ASIN: B00NA4EVYY. Time Management Tips: T.I.M.E Things I Must Experience: How to Manage Your Time More Effectively So You Can Do More of What You Love by T Whitmore. Price: Free. Genre: Business & Money, Business Life, Time Management. Rated: 4.7 stars on 4 Reviews. 36 pages. ASIN: B018EZREX8. List Building Blueprint: Learn how to build a responsive email subscriber list by Bill Davis. Price: Free. Genre: Business & Money, Industries, E-commerce, Marketing. Rated: 4.2 stars on 21 Reviews. 43 pages. ASIN: B00YFDU1YS. Boost Your Brain Power: Proven Memory Tips, Tricks and Strategies for Improving Your Memory, Brain Power and Cognitive Functioning Today by Andy Arnott. Price: Free. Genre: Business & Money, Management & Leadership, Decision-Making & Problem Solving. Rated: 4.1 stars on 15 Reviews. 36 pages. ASIN: B00M09VH56. *Ctrl-Alt-Delete (Hagar Trilogy Book 1) (Deal, Not Free) by Dave Lewis. Cost: $0.99. Genre: Adult Crime Thriller Deal, Sponsor. Rated: 5 stars on 2 Reviews. 306 pages. ASIN: B005Z284A6. *Today We Die (The Killing Sands Book 1) (Deal, Not Free) by Daniel P. Wilde. Cost: $0.99. Genre: Apocalyptic Thriller Deal, Sponsor, 2093, Ancient Biological Weapon is Uncovered from Sahara Desert. Rated: 4.8 stars on 35 Reviews. 380 pages. ASIN: B075299RJ2. Get the paperback version here, please. *Restoration: Heal Your Soul, Heal Your Life (Deal, Not Free) by Beau Adams. Cost: $0.99. Genre: Christian Book Deal, Sponsor, Nuggets of wisdom, We are fighting battles God never intended us to fight. Rated: 5 stars on 9 Reviews. 110 pages. ASIN: B07KYQW7RT. *(Box Set Deal, Not Free) Sweet and Sassy in the Snow: Find Your Winter Romance! (Deal, Not Free) by Mona Risk, Natalie Ann, Rachelle Ayala. Cost: $0.99. Genre: Romance Box Set Deal, Sponsor, 8 Book Box Set, Star, Love and Pirouettes, Who can Jenna trust. Rated: 4.8 stars on 8 Reviews. 999 pages. ASIN: B07MQS5K5K. *The Type 2 Diabetes Monster and How to Tame It: Face Your Type 2 Diagnosis with Courage and Hope (Deal, Not Free) by D.L. Hughes. Cost: $0.99. Genre: Nonfiction Book Deal, Sponsor, Health, The good, the bad and embarrassing experiences of being diagnosed with Type 2 diabetes. Rated: 5 stars on 1 Reviews. 117 pages. ASIN: B07N993PY2. ***(Free for Kindle Unlimited) His End Game (MMG Series Book 1) (Deal, Not Free) by RB Hilliard. Cost: $2.99. Genre: Adult Second Chance Romance Deal, Sponsor, Ellie must choose between the man who broke her heart and the best friend who loves her. Rated: 4.5 stars on 155 Reviews. 404 pages. ASIN: B00IDAPVBW. Get the paperback version here, please. ***Blossom and the Beast (The Alder Tales Book 1) (Deal, Not Free) by RS McCoy. Cost: $0.99. Genre: Romance Deal, Sponsor, USA Today Bestselling Author, A Splendid Retelling of a Classic FairyTtale, If you like Cinder, The Star-Touched Queen. Rated: 4.3 stars on 120 Reviews. 337 pages. ASIN: B01DC8Y20U. USA Today Bestselling Author RS. McCoy. ***Utterly Forgettable (Deal, Not Free) by RB Hilliard. Cost: $0.99. Genre: Bar Owner and Apartment Manager Romance Deal, Sponsor, Great Story Full of Emotions and Laughs and Steam. Rated: 4.5 stars on 105 Reviews. 167 pages. ASIN: B01DOR1EBO. Get the paperback version here, please. **(Free for Kindle Unlimited) Fractured Beat (Meltdown Book 1) (Deal, Not Free) by RB Hilliard. Cost: $2.99. Genre: Adult Rock Star Romance Deal, Sponsor, The Lead Rocker of Meltdown has a Melt Down, he also has a Sweet and Romantic Side. Rated: 4.7 stars on 281 Reviews. 341 pages. ASIN: B01LWX0RBT. Get the paperback version here, please. **Born to be My Baby (Canyon Creek, CO Book 1) (Deal, Not Free) by Lori Ryan, Kay Manis. Cost: $0.99. Genre: Adult Romance Deal, Sponsor, NY Times Bestselling Author, Contemporary Romance. Rated: 4.5 stars on 58 Reviews. 364 pages. ASIN: B077XJY519. NY Times Bestselling Author Lori Ryan. **Interview Preparation and Success Tips: A Detailed Guide on How to Answer Interview Questions and Bag That Dream Job! (Deal, Not Free) by Ernest Enabulele. Cost: $0.99. Genre: Business Non Fiction Deal, Sponsor, How to Get Your Dream Job, Interview Secrets and Skills. Rated: 5 stars on 45 Reviews. 88 pages. ASIN: B07LB5Q9K1. **The Eden Paradox (Deal, Not Free) by Barry Kirwan. Cost: $0.99. Genre: Space Thriller Deal, Sponsor, The Third Trip to reach a New Habitable Planet, what will the Crew Find. Rated: 4.4 stars on 46 Reviews. 465 pages. ASIN: B07N35L6F4. Get the paperback version here, please. *The Apollyon Game by Clive Reznor. Cost: Free. Genre: Horror Deal, Sponsor, A Demonic Game, Inhuman Monsters, If You Like Gory Books, Hellbound Heart or Night Shift. Rated: 5 stars on 1 Reviews. 43 pages. ASIN: B075VY65X9. *21 Financial Myths (Deal, Not Free) by Dan Wyson. Cost: $0.99. Genre: Money Non Fiction Deal, Sponsor, Finance, Business and Money, 21 Top Lessons from 30 years of experience as a Financial Advisor. Rated: 4.7 stars on 24 Reviews. 67 pages. ASIN: B078YZD5J8. Get the paperback version here, please. *Vengeance Red (Deal, Not Free) by R. C. Schulz. Cost: $0.99. Genre: Women’s Fiction Deal, Sponsor, Quest to understand the cause of a Spy Plane Crash in the Soviet Union. Rated: 5 stars on 9 Reviews. 361 pages. ASIN: B07CJ6598M. *Trust (Things That Matter Series Book 1) (Deal, Not Free) by Casey Diam. Cost: $0.99. Genre: Adult Crime Romance Deal, Sponsor, She saw her family being Assassinated, Since then she’s been trying to Outrun her Past until she meets Caleb, Can she trust him. Rated: 4.7 stars on 35 Reviews. 271 pages. ASIN: B07DNRXN3Z. Get the paperback version at $11.99 here, please. *The Perfect Match: Finding the ONE you were made for (Deal, Not Free) by Wes Raley. Cost: $0.99. Genre: Christian Living Deal, Sponsor, Inspiration to find the one, A Comprehensive Guide to the Art of Dating, Practical Relationship Guidelines. Rated: 5 stars on 24 Reviews. 214 pages. ASIN: B07FKSRLMP. *The World of Adam Dunne (Deal, Not Free) by Tobor Eichmann. Cost: $0.99. Genre: Dark Thriller Deal, Sponsor, An Emotional and Somber and Very Unique Story. Rated: 4.5 stars on 19 Reviews. 177 pages. ASIN: B07FSTWG2Q. *The One, the Only, the Amazing… (Deal, Not Free) by Bonnie Shiloh. Cost: $0.99. Genre: 18+ Fiction Deal, Sponsor, A Fantastic Tale of a Man who could make a woman go just by looking into her eyes. Rated: 5 stars on 2 Reviews. 336 pages. ASIN: B07G83XXPZ. *Something (Wisteria Book 1): A Coming of Age Dark Fantasy Series With Demons, Mental Illness and Religion (Deal, Not Free) by Shelby Lamb, Lorelei Logsdon, Hogan Hogan. Cost: $0.99. Genre: Adult Dark Fantasy Romance Deal, Sponsor, Demons, Mental Illness, Religion. Rated: 4 stars on 84 Reviews. 417 pages. ASIN: B07GTNG284. *Smiling Ghosts: A thrilling adventure with extraterrestrials hidden among us! (Deal, Not Free) by Bridgette Ehly. Cost: $0.99. Genre: YA Paranormal & Urban Fantasy Deal, Sponsor, The World is not what it seems, Neither is Miranda’s New Boyfriend, Second Apocalyptic Death. Rated: 5 stars on 3 Reviews. 365 pages. ASIN: B07HNFKV7S. *The One (Deal, Not Free) by RD Palmer. Cost: $0.99. Genre: Christian Mystery & Suspense Deal, Sponsor, An Epic Adventure of Good versus Evil. Rated: 4.2 stars on 19 Reviews. 309 pages. ASIN: B07HR1J1K2. *120 Solutions For Life (Deal, Not Free) by Aver Stu. Cost: $0.99. Genre: Non Fiction Deal, Sponsor, The Greatest Gift you can give your Loved Ones is a Healthy you. Rated: 5 stars on 1 Reviews. 142 pages. ASIN: B07JL5LSKC. ISBN: 1728785014. Get the paperback version here, please. *God’s Word My Guarantee: Unleashing The Power of God’s Word In Your Life (Deal, Not Free) by RICHARD ONEBAMOI. Cost: $0.99. Genre: Christian Non Fiction Deal, Sponsor, Christian Books, Bibles, God’s Word. Rated: 5 stars on 5 Reviews. 153 pages. ASIN: B07L9GV8XM. Get the paperback version here, please. *Within the Darkness (Wisteria Book 2): A Dark Fantasy Dystopian With Demons and Monsters – Mature Content (Deal, Not Free) by Shelby Lamb. Cost: $0.99. Genre: Adult Fantasy Romance Deal, Sponsor, Ghosts and Demons and Devils, The hidden Domain, Her Dream Man, Her Nemesis and Friend. Rated: 5 stars on 1 Reviews. 365 pages. ASIN: B07MLKFKZ8. *Peregrination: The Journey to Wellness (Deal, Not Free) by Sonny Weathersby. Cost: $0.99. Genre: Christian Fiction Deal, Sponsor, A Man takes on many Challenges, Surviving Homelessness and Joblessness and Hopelessness, the Loss of Loved Ones and Friends, his Journey to his Destiny. Rated: 4.9 stars on 20 Reviews. 114 pages. ASIN: B07MTSRRH1. *Viral Personal Branding: Marketing a personal brand, building buzz and getting your dream clients (Deal, Not Free) by Mike Allebach. Cost: $0.99. Genre: Non Fiction Deal, Sponsor. Rated: 5 stars on 16 Reviews. 88 pages. ASIN: B07MWF5ZHV. *A Long Way From Love: A new kind of romantic comedy! (The Long Way Book 1) (Deal, Not Free) by Eva Easton. Cost: $0.99. Genre: Romantic Comedy Deal, Sponsor, If you like Hilarious Heroines, Gorgeous Guys and a Little bit of Superhero Action. Rated: 5 stars on 1 Reviews. 231 pages. ASIN: B07N3116ZT. *Igniting the Phoenix: Weapon of War Book One by Alethea Stauron. Cost: Free. Genre: Suspense Thriller Deal, Sponsor, A Hidden Soldier Battling Imprisoned Dimensional Enemies in a War is Ordered to Watch the Generals Daughter. Rated: 5 stars on 1 Reviews. 487 pages. ASIN: B07N99BK2D. *Claimed by the Highlander (The Highlands Warring Scottish Romance) (A Medieval Historical Romance Book) (Deal, Not Free) by Anne Morrison. Cost: $0.99. Genre: Scottish Historical Romance Deal, Sponsor, They were Ill-Matched, He’s Charming and Deadly, She’s Intoxicating and Skeptical. Rated: 4.8 stars on 7 Reviews. 429 pages. ASIN: B07NBDLHBS.